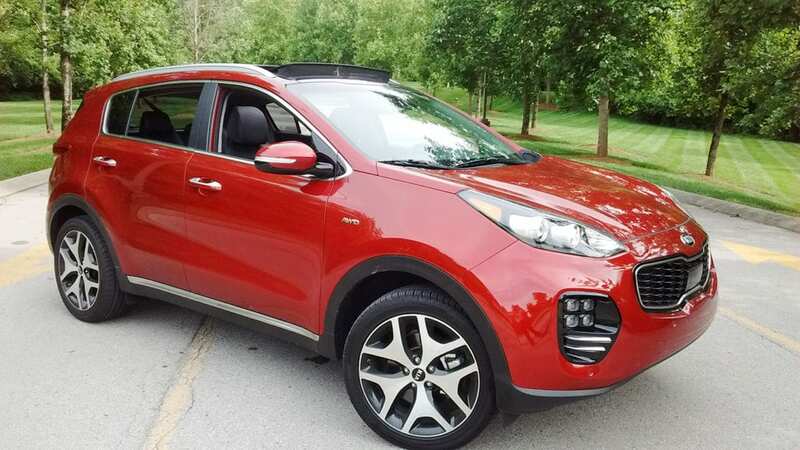 The 2017 Kia Sportage SX AWD offers premium craftsmanship that imbues every detail. From the new soft-touch materials to the upgraded seats with scientifically calibrated touch points, it’s all there. The angled console, displays, and buttons are all ergonomically optimized as well. The Sportage offers room to stow and grow. With its expanded cargo space, the Sportage has ample capacity for everything you want to take on your travels. The 60:40 flat-folding rear seats and dual-level cargo floor give you the versatility to create the space you need for every trip. Smart compartments have been added to provide even more ingenious storage solutions. Stay in touch and in-the-know with Kia’s subscription-free UVO eServices system. Choose either an available 7-inch color touchscreen display, or the voice-command navigation system with 8-inch color display. UVO enables hands-free calling and navigation, music-playing, roadside assistance, and much more. The new Sportage knows when you need a brake. It’s available Autonomous Emergency Braking (AEB) system monitors vehicles ahead of you to help prevent a collision or, if unavoidable, reduce the impact. Available on all 2017 Sportage trims, the Dynamax™ all-wheel drive system senses and adjusts traction requirements for changing road and weather conditions. Wherever your adventures take you, the Sportage is ready to handle the bumps along the way. It’s Iso-Structure™ delivers rigidity. Along with extended body insulation and other features, this creates a smoother, quieter ride for the driver and passengers alike.